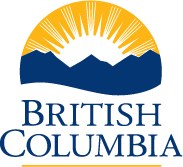 The On-Farm Food Safety Program is a cost-sharing initiative designed to assist in the improvement of British Columbia’s (BC) food safety. The program provides up to $10,000 in funding to a diverse range of eligible BC on-farm businesses such as farmers, producers, packers, and ranchers who want to earn food safety certifications and implement food safety improvement activities. 3. Achieve a third-party OFFS or Hazard Analysis Critical Control Point (HACCP) food safety certification through nationally and internationally recognized food safety accreditation bodies. Funding was provided through Canada Agricultural Partnership (CAP), a $3 billion federal, provincial, and territorial government commitment to support agriculture. The program is administered by Food Processing Skills Canada (FPSC) a recognized leader in education and program delivery. The FPSC supports the On-Farm Food Safety (OFFS) Program with program delivery, courses and training.